A Caldecott Award winning Cinderella tale! This program is based on the book, Mufaro's Beautiful Daughters -- An African Tale, c 1987 by John Steptoe. The dramatization for performance by the PUPPET ARTS THEATRE is being performed by permission of the John Steptoe Literary Trust. When a great African king desires a wife, only the most worthy and beautiful maidens in the land are invited to meet him. Mufaro’s pride and joy, his two daughters of very different dispositions, travel across a river and half a day’s journey to go before the king. In this charming African Cinderella folktale, two sisters are both beautiful, but the beauty of one, Manyara, is only on the outside. 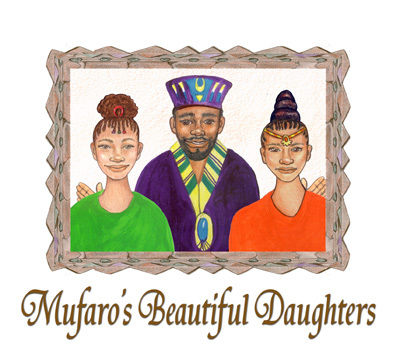 Her sister, Nyasha, is beautiful inside and out, but will the king see the kindness and generosity of one of Mufaro’s daughters? The tale is a celebration of goodness, generosity and love.